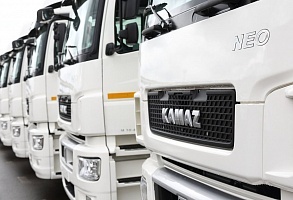 KAMAZ-LEASING financed the purchase of four KAMAZ-5490 NEO trucks by LLC “KhimAvtoLeader” from the Vladimir region. The agreement was signed on a profitable leasing product for small and medium business “Leasing from the manufacturer”. 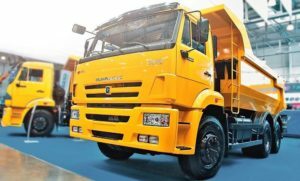 The choice of “KhimAvtoLeader” in favor of KAMAZ-5490 NEO is due to the characteristics of the car. 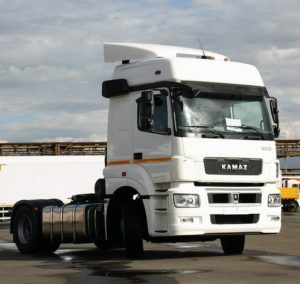 The truck is notable for its economical fuel consumption, optimized distribution of axle loads, increased fuel capacity, modern design and environmental friendliness. The prime mover has a “4×2” wheel formula, designed to work as part of road trains with a permissible weight of up to 44 tons, and is capable of pulling semitrailers for various purposes. The model is focused on both inter-regional and international transport. In addition, the manufacturer provided accessibility and high quality service. The official dealer of KAMAZ, OOO “Vladimirsky Autocentre KAMAZ” was the supplier of vehicles. KAMAZ employees took part in the ASMAP Baltic 2019 exhibition, held in Kaliningrad. The Association of International Road Carriers (ASMAP) annually holds such meetings and conferences where the largest manufacturers and key participants of the road transportation market participate. This year, the leading Russian truck manufacturer, KAMAZ-65209 truck coupled with the NEFAZ-93341-0600200-08 semi-trailer. During the event the representative of the KAMAZ Trade and Finance Company made a report on the new range of models of KAMAZ vehicles and KAMAZ-65209 truck. This truck was released to the markets in 2018. The model is unified with the KAMAZ-5490 NEO truck on the component base and is distinguished by the use of a rear axle with automatic control. The main advantage of the vehicles is the possibility of increasing the mass of the transported cargo. Taking into account the addition of an extra lifting axle, the gain in weight of the transported cargo is about 3 tons. At the same time among the advantages of the truck is the possibility of redistributing the load on the lifting axle, which reduces the risk of exceeding the permissible axle loads, as well as reducing tire wear due to the lifting axle and fuel economy due to the absence of a second axle. KAMAZ may start a serial production of unmanned trucks. KAMAZ may start a serial production of unmanned trucks by 2025. The prototype has already been created. It knows how to drive on specified routes without the help of a driver. The serial KAMAZ-5350 with all-wheel 6×6 chassi was chosen as a base truck for the new prototype. It is equipped with the most modern equipment: radars, active optical sensor (lidar), video cameras, communication systems. The truck can recognize road signs, markings, other road users, including pedestrians. A joystick for the remote control was also developed for the autonomous KAMAZ. Tests of the unmanned vehicle will begin in the near future.